In recent years, online enrollment in Virginia's higher learning institutions has increased significantly. According to data from the National Center for Education Statistics (NCES), the proportion of students enrolled in distance courses rose by more than one percent from 2014 to 2015, growing from 34.7% to 35.9%. From 2014 to 2015, the number of undergraduates enrolled in Virginia colleges' online degree programs grew by over 4,000. The State Council of Higher Education in Virginia, a government body dedicated to advancing postsecondary education in the state, helped to increase online enrollment. In 2014, the council introduced the Virginia Plan for Higher Education, which aims to increase affordable higher learning options for nontraditional and returning students. This guide covers essential topics for students considering an online education in Virginia. Below, you will find important information on higher learning institutions, college tuition, and financial aid options in the state. In addition, this guide explores the overall state of online learning in Virginia compared with the rest of the country. For those considering working in Virginia after graduation, this guide outlines the state's most important industries and fastest growing jobs. According to the NCES, a government body that gathers data on U.S. schools, Virginia boasts 131 degree-granting higher education institutions. The NCES tallied a total of 40 public institutions, 43 nonprofit institutions, and 48 for-profit schools. These numbers encompass all types of degree-granting schools, including two-year community colleges, four-year universities, and special focus schools. Of the nearly 20 million students enrolled at degree-granting postsecondary institutions in the U.S., over 557,000 study in Virginia. While total college enrollment in some states has dropped by more than 20%, enrollment at higher education institutions in Virginia has held steady since 2010. Actually, the number of students studying at colleges and universities in Virginia increased by over 180,000 since 2000. The College Board reports that average tuition and fees at Virginia’s public, four-year universities for the 2018-2019 school year reached $13,490 for in-state students. Average in-state tuition at public, two-year colleges reached $5,127 during the same period. In addition, the College Board found that, for the 2018-2019 academic year, tuition and fees at the University of Virginia totaled $16,520 for Virginia residents and $47,562 for out-of-state students. In terms of Virginia’s public financial aid programs, the National Association of State Student Grant & Aid Programs revealed that the state awarded $90.6 million in non-need based grants and $365.2 million in need-based aid for the 2015-2016 school year. This represents a more than $200 million increase in need-based aid since the 2013-2014 academic year. According to data from the NCES, 204,637 students in Virginia incorporate at least one online course into their postsecondary education. This translates to around 36% of the total postsecondary enrollment in Virginia, considerably higher than the national average of 29.7%. Approximately 115,570 students in Virginia (20.3% of the total enrollment) take all of their coursework through distance education programs. Undergraduates comprise around 65% of the strictly online learners in the state. Of those online students, 45.8% reside in Virginia — less than the national in-state average of 55.1%. The number of graduate students in Virginia enrolled in at least one online course grew by around 5,000 from 2012 to 2015, due in part to efforts from organizations such as Electronic Campus of Virginia (ECVA) and Virginia’s Community Colleges (VCCS). ECVA, an association of 10 prominent Virginia universities, aims to enhance and improve online education across member institutions. Member schools research statewide education and technology programs and then collaborate to advance their online offerings. EVCA also hosts events that allow leaders in higher education to come together and share ideas. VCCS, an alliance of the state’s community colleges, provides information to prospective community college students. Through the VCCS website, prospective students can learn about programs, tuition, transfer policies, and resources at 23 community colleges across the state. In addition, students can research online college courses in Virginia and distance enrollment at various schools. Online programs often appeal to students who wish to attend college in another state. Some universities allow distance students to pay in-state tuition regardless of where they live. In addition, organizations such as the Southern Regional Education Board (SREB) enable out-of-state learners to save on tuition costs while studying at a Virginia college online. The SREB, a nonprofit coalition established in 1948, seeks to enhance public education across its 16 member states: Alabama, Arkansas, Delaware, Florida, Georgia, Kentucky, Louisiana, Maryland, Mississippi, North Carolina, Oklahoma, South Carolina, Tennessee, Texas, Virginia, and West Virginia. Through SREB’s programs, out-of-state students do not need to choose the cheapest online college in Virginia to obtain an affordable education. Through SREB’s Academic Common Market initiative, college students living in member states can pay in-state tuition at participating institutions across 15 states. The Academic Common Market/Electronic Campus (ACM/EC) program allows online students to pay in-state tuition rates at hundreds of approved undergraduate and graduate distance education programs. Online learners may take advantage of the ACM/EC program if in-state schools do not offer their desired academic program. Below, you will find our rankings of the best online four-year programs in Virginia. Our profiles look at how schools approach online education and then list their services for distance students and their most popular, fully online degrees. After reviewing the best online schools in VA, explore our state resources, like a database of every college and university in Virginia or our index of popular in-state scholarships. Thomas Jefferson founded the University of Virginia in 1819. Today, this public school in Charlottesville educates more than 20,000 learners, nearly 90% of whom graduated in the top 10% of their high school classes. The institution boasted a four-year graduation rate of 89% in 2013; U.S. News and World Report ranked the school as the third-best public national university in 2019. Candidates interested in online college courses in Virginia can earn a bachelor's in health sciences management or a bachelor's in interdisciplinary studies with concentrations in information technology, cybersecurity, and business. The university delivers one online master's in public safety, though this degree includes on-campus components. Online learners can earn undergraduate certificates in accounting, federal acquisition, and human resources management credentials; they can earn graduate certificates in fields including digital marketing, leadership, and public administration. Students may also pursue a non-credit certificate in public relations. The university delivers online coursework synchronously and asynchronously, using tools such as video conferences, blogs, forums, and instant messaging to connect faculty and students. The school offers military discounts and resident tuition for some out-of-state learners. For instance, out-of-state students in K-12 educators programs currently pay more than double per credit than in-state learners, whereas bachelor of interdisciplinary studies candidates pay equal tuition, regardless of location. The institution considers international study and intercultural engagement high priorities, and more than 3,000 learners study abroad. University students and alumni benefit from career assistance, such as resume reviews, industry guidance, and job connections. The University of Virginia boasts accreditation through the Southern Association of Colleges and Schools Commission on Colleges. Based in Fairfax, Virginia, George Mason University is a public research school near Washington, D.C.; it educates over 30,000 learners from 130 countries and is part of the Online Virginia Network. Mason offers learners more than 50 online and hybrid programs. These opportunities include nine online undergraduate degrees in fields like computer game design, psychology, nursing, and information technology. Graduate students can pursue online degrees in disciplines including accounting, education leadership, health informatics, and business administration. Learners can also obtain hybrid master's degrees or graduate certificates in fields like geospatial intelligence, literacy, and telecommunications. Departments deliver online courses synchronously and asynchronously. Some programs may include on-campus components. Online learners can access online journals and eBooks through the school's library and may consult a librarian through instant messaging, email, and phone calls. The library provides tutorials to assist candidates with research and delivers materials to students through a document delivery service. The school's online writing lab allows students to email papers for tutor review, and the Career Services department assists candidates with practice interviews and job postings. Virtual learners can also seek health advice online or visit campus for free healthcare. Tuition charges for out-of-state learners are higher than in-state costs. Learners attending this Virginia college online from other states may want to pursue additional financial aid to cover expenses. Mason holds accreditation from the Southern Association of Colleges and Schools. Liberty University includes 17 schools and colleges with curricula grounded in Christian beliefs. Founded in 1971 and located in Lynchburg, Virginia, the school boasts more than 100,000 students from all U.S. states and over 80 countries. However, student-to-faculty ratios remain low, so degree seekers can gain a quality education in a comfortable setting. For online learners, this ratio is 17:1. Undergraduate programs include degrees and certificates in fields such as criminal justice, aviation, and international business. Graduate opportunities include degrees and certificates in applied communication studies, public health, and graphic design. Postgraduate students can explore disciplines like strategic leadership, nursing practice, and education. Candidates can also pursue the Wilmington School of the Bible diploma, and high school students can participate in dual enrollment to earn college credit. The school delivers most online coursework asynchronously, though certain programs may require synchronous participation. Candidates new to online learning can view the university's tutorial on using Blackboard. Online learners can also submit tuition payments, view their accounts, and access grades through the school's ASIST tool. The university participates in the guaranteed admission agreement with the Virginia Community College System. This agreement states that Liberty accepts students from specific college programs and applies all transferable coursework, provided graduates earn a 2.0 GPA. Candidates can also obtain transfer credits through college credit exams, professional experience, military training, and certain certificate programs. Out-of-state learners do not pay higher tuition than in-state candidates, making Liberty a strong choice for distance learners seeking the cheapest online colleges in Virginia. Liberty holds accreditation from The Southern Association of Colleges and Schools. Old Dominion University in Norfolk, Virginia educates nearly 25,000 students from more than 130 countries. With 30 years of experience in distance learning, the institution boasts more than 14,000 graduates of distance learning programs and a 97% student satisfaction rate. ODU offers online bachelor's, master's, and doctoral degrees -- along with minors and certificates -- in fields that include accounting, cyber systems security, dental hygiene, online teaching, professional writing, and sports management. Candidates complete these Virginia college online programs through synchronous web conferences or asynchronous methods, depending on the course, and may enroll in accelerated classes to hasten graduation time. Applicants can take an online quiz to determine if distance learning fits their needs. The university offers transfer students numerous benefits. For instance, ODU holds guaranteed admission agreements with schools in the Virginia Community College System, certain Washington state colleges, and Arizona's Yavapai College. This means students earn admission into ODU after obtaining an associate degree from a participating school. In some cases, transfer credits may fulfill all lower-level requirements for general education. ODU also evaluates unofficial transcripts at no charge so learners can see how prior education impacts program needs. Degree seekers can also use Monarch TRANSFERmation to research equivalent courses for previous classes. Military training and experience may count as credit toward an ODU degree. Out-of-state learners pay only slightly higher tuition than in-state students. The Southern Association of Colleges and Schools accredits ODU. Agencies such as the National Council for Accreditation of Teacher Education, the National Association of Schools of Music, and the Association to Advance Collegiate Schools of Business - International offer specialized program accreditation. Founded in 1859, Averett University in Danville, Virginia educates around 1,900 students from 14 countries and 23 states. This private Baptist university ranks as the 13th best regional liberal arts college in the South according to U.S. News and World Report. Class sizes are small, with just 12 students on average, providing a quality, interactive education. The school also delivers accelerated courses to speed up graduation. Candidates considering Virginia colleges for online programs can obtain a master's in accountancy, business administration, education, applied data analytics, or criminal justice through this institution. Undergraduate learners can pursue an associate degree in business administration or bachelor's degrees in applied science, business administration, and sociology and criminal justice. Another distance learning option is the individually designed education for adult learners (IDEAL) program, where candidates can create a program of independent study. Online learners take primarily asynchronous classes, with presentations and papers as major assignments. Other courses may involve synchronous elements, such as video conferences. Online learners also enjoy access to library resources, like journals and periodicals, and online tutoring through Smarthinking. Virtual learners can also explore the school's blog for program and career insights. The school boasts partnerships with organizations like Keystone Academic Solutions, Central Virginia Community College, and the Northern Virginia Criminal Justice Training Academy. These partnerships allow the companies' employees to attend for discounted tuition rates. Averett holds accreditation from the Southern Association of Colleges and Schools. The university also boasts membership with organizations such as the American Council on Education, the Virginia Humanities Conference, the Association of Virginia Colleges, the Council of Independent Colleges, and the Consortium for the Advancement of Adult Higher Education. Hampton University in Virginia, originally called the Hampton Normal and Agricultural Institute, is a historically black university focused on research and community improvement. Enrollment in the fall of 2017 was over 4,000; more than 25% of those students enrolled in liberal arts and education programs. Opportunities from this accredited online college in Virginia include degrees and certificates. Learners can obtain certificates in paralegal studies, human resource management, and entrepreneurship -- or pursue associate, bachelor's, master's, and doctoral degrees in fields such as aviation management, nursing, counseling, business administration, and educational management. To determine how well online learning fits their needs, candidates can take an online course that previews programs and Blackboard technology. Online undergraduate students may take six credits per eight-week session or nine credits per 16-week session. Candidates must obtain special permission to surpass these numbers. This allows students to complete degrees in four years. However, graduate programs vary, and applicants should check program timeframes. Students can accelerate graduation through credit evaluation, but the school charges a fee for an official assessment. Candidates can receive credits for prior classes, military experience, exams, and professional training or experience. The school offers support services for online learners, including library access and career assistance. In particular, the Career Center provides workshops and seminars on topics such as professional clothing, resumes, interview skills, and financial management -- along with job fairs that introduce students to possible employers. All online learners pay the same tuition rate. Hampton University holds accreditation from The Southern Association of Colleges and Schools. Other agencies, including the International Assembly of Collegiate Business Education, the National Architecture Accrediting Board, the Accreditation Council for Pharmacy Education, and the Commission on Accreditation in Physical Therapy Education, approve the school's programs. Candidates interested in accredited online colleges in Virginia should consider Richmond's Virginia Commonwealth University. Founded in 1838 as the Medical College of Hampden-Sydney, this public school boasts over 30,000 students and nearly 200,000 alumni. The university focuses on research and was the first southern social work school. VCU offers online courses through nine colleges, including the School of Medicine, the College of Engineering, and the School of Education. Through these colleges, online candidates pursue certificate, bachelor's, master's, and doctoral programs in disciplines such as educational leadership, business administration, addiction studies, gerontology, and homeland security. Departments deliver these programs with different levels of flexibility. For instance, students can earn the master of science in mechanical and nuclear engineering completely online, while bachelor's students in the clinical laboratory science distance education program use video conferencing. A master's in health administration requires online and on-campus coursework with asynchronous participation, while a doctorate in nursing practice requires more synchronous elements. Individual courses may include both online and in-class components. Online candidates can access library materials through document delivery services and Interlibrary Loan. The library also offers the HathiTrust accessibility program where students can browse materials and email the library for delivered copies. The school's Writing Centerprovides online consultations; learners email their assignments to the center and participate in video conferences with tutors, often through Skype. Virtual students can also use software and digital tools from the school's Technology Services section, including Filezilla, ImageNow, and QuestionPro; they can also download VCU Insider onto their phones to browse current events, resources, and campus information. VCU aids in locating jobs, graduate schools, and internships through the Career Services department. The Southern Association of Colleges and Schools accredits this school. Regent University in Virginia Beach delivers 132 programs through coursework grounded in its Christian faith. The school, founded in 1978, ranks on several U.S. News and World Report lists, including the top national universities, the best online bachelor's programs in Virginia, and the best online graduate education programs in Virginia. In 2017-2018 alone, the university conferred nearly 2,000 degrees. Online learners can pursue degrees from the College of Arts and Sciences or any of Regent's graduate schools. Fields to explore include film-television, criminal justice, cybersecurity, healthcare leadership, and school counseling. Regent delivers coursework through asynchronous means, such as discussion boards, projects, quizzes, and exams, but may also include chats and synchronous lectures. Class sizes average 18 students and classrooms use Blackboard technology. Each class lasts eight or 15 weeks. Candidates can test drive a course to determine if online learning fits their needs and explore the school's list of tips for online education. Virtual students can also access the library's resources and attend online admissions events. The Office of Career and Talent Management offers career assessments and guidance to help students determine the right career. Regent participates in the Yellow Ribbon Program, which includes tuition assistance for military personnel. Other learners can also obtain financial assistance. In 2017-2018, 88% of students qualified for financial aid. This university holds accreditation from The Southern Association of Colleges and Schools, with additional accreditations from agencies such as the Council for Accreditation of Counseling and Related Educational Programs, the Commission on Collegiate Nursing Education, and the Accreditation Council for Business Schools and Programs. Averett University began in 1859 and holds affiliation with the Baptist General Association of Virginia. The institution ranked sixth on the U.S. News and World Report's list of the best regional colleges in the South for veterans and fourth on the best value among Southern regional colleges. The school boasts approximately 25,000 alumni from 50 countries. Beyond the school's nontraditional programs, candidates can pursue traditional undergraduate and graduate degrees in fields such as criminal justice, education, and nursing. Students use Moodle to attend classes online, though some graduate programs may require face-to-face components. The university works with local employers to develop curricula to ensure their degrees prepare students for the workplace. The school also allows candidates to earn traditional degrees through IDEAL programs. These programs use prior experience, such as coursework and military training, for credit, and students work with an adviser to determine which classes to take. The department requires at least 120 credits for IDEAL bachelor's degrees, 30 of which must come from Averett. Averett accepts a maximum of 60 transfer credits from undergraduates. However, these transfer learners must complete 30 credits at the school with at least 12 credits in a student's major. Graduate learners may transfer as many as six credits. The school offers a free credit evaluation to determine how courses will transfer. Out-of-state learners attending this Virginia college online do not pay higher tuition based on location, but some programs charge higher tuition. The IDEAL program, however, charges the lowest per-credit tuition for graduate and professional studies. Military learners qualify for tuition benefits, such as a 25% discount for graduate tuition. The schools holds accreditation from The Southern Association of Colleges and Schools. Grounded in the Baptist faith, Virginia's Bluefield College ranked among the top tier colleges in the South by U.S. News and World Report. The institution opened in 1922 with the support of its first president, Dr. R.A. Lansdell. More than half of its faculty hold a doctoral degree. Students can pursue online undergraduate degrees in organizational leadership, cybersecurity, human services, business administration, nursing, criminal justice, early childhood education, and ministry leadership. Graduate learners can explore online master's degrees in business administration, education, and nursing -- and also pursue a teacher of chemistry certificate. Departments deliver eight-week courses through classes with an 11-to-1 student-to-faculty ratio. This means degree seekers can complete programs at an accelerated pace with the personal feel of a small class. The school provides information sessions so candidates can evaluate the benefits of virtual learning. Online students can access library information through databases, eBooks, and online journals. Learners also benefit from virtual tutoring and academic guidance through Smarthinking and Grammarly. Bluefield College holds articulation agreements with 12 schools and programs, including the Appalachian School of Law, the Danville Community College Administration of Justice Program, Southwest Virginia Community College, and Mahidol University. These agreements ease the transfer process. For instance, learners from the Virginia Community College System receive admission into Bluefield College per the agreement, provided they hold a 2.5 GPA and complete an accepted program. Learners can participate in the school's study abroad programs, including summer experiences in China, London, and Brazil. This university holds accreditation from the Southern Association of Colleges and Schools and boasts membership in the Association to Advance Collegiate Schools of Business. The school also holds specialized accreditation through the Council for the Accreditation of Educator Preparation and the Commission on Collegiate Nursing Education. Below you’ll find the best online colleges in VA, sorted by affordability. 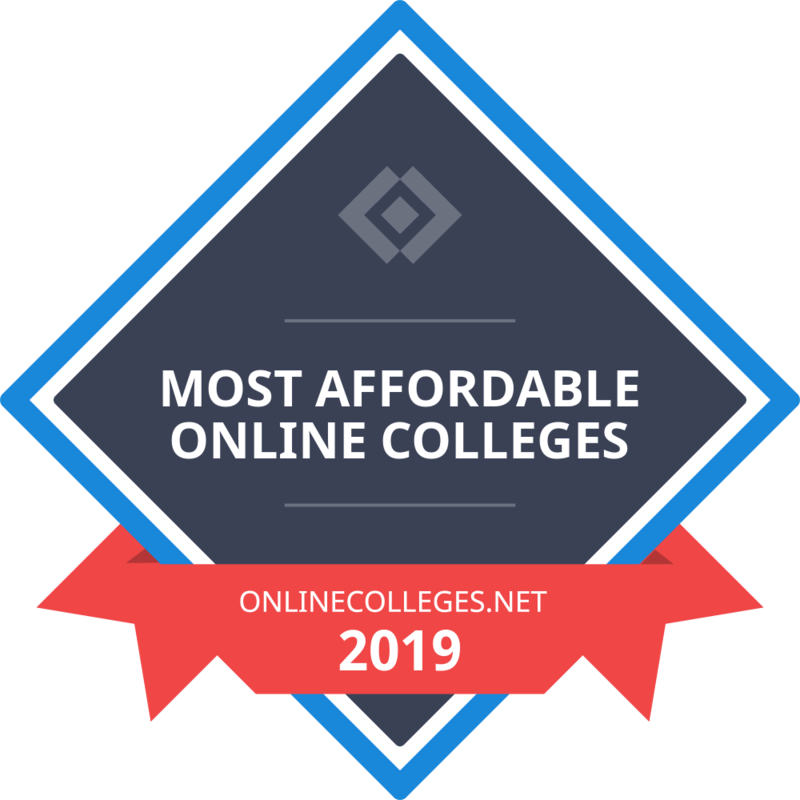 Our list of the most affordable online schools in Virginia is based on in-state yearly tuition, or annual tuition rates if a school does not differentiate between in-state and out-of-state students. Tuition rates are based on a full course load each semester or term. All colleges on the list offer at least one bachelor's degree completion program available entirely online. 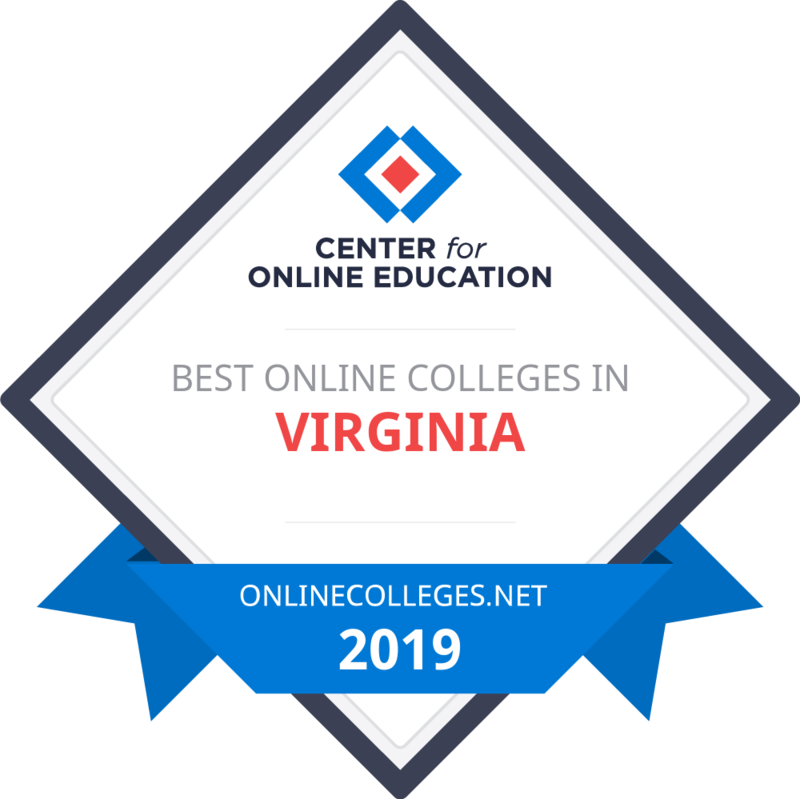 The online schools in VA with the lowest tuition are ranked highest, providing prospective students with a true list of the most affordable online colleges in the state. Students attending accredited online colleges in Virginia can expect ample job opportunities in the state after graduation. Virginia boasts a 3.0% unemployment rate, significantly lower than the national rate of 3.7%. In addition, workers in Virginia enjoy higher-than-average annual salaries. According to the Bureau of Labor Statistics (BLS), the annual mean wage in Virginia is around $54,000, over $3,000 more than the national average of $50,620. However, job outlook and salary depend heavily on a student’s particular degree and qualifications. Students looking to attend Virginia college online programs should consider that the state’s key industries include corporate services, information technology, and supply chain management. Virginia boasts a high concentration of tech workers, the third largest port on the East Coast, and a thriving manufacturing sector. Students must be nominated by their secondary school and must show exceptional academic and leadership abilities. Recipients attend the University of Virginia with a full scholarship. Must be an online student pursuing an undergraduate degree at Bluefield College. Applicants must maintain a 2.0 GPA and must study full time. Must be a student at a Virginia public high school, private school, or home school who plans on attending an accredited U.S. university full-time. Incoming freshmen at Virginia Tech's College of Engineering may apply for this scholarship. Students can renew the awards, which are distributed based on academic merit. High school or college students residing in the Tidewater area of Virginia may apply. Applicants must demonstrate financial need and hold a GPA of 3.0 or higher. Must be an undergraduate or graduate student at an accredited Virginia institution to apply. Students must attend a program related to water resources. Acceptable fields of study include biology, conservation, and engineering. Must be the child or spouse of a deceased or disabled military service member to apply. Applicants must reside in Virginia and must attend a public institution in the state. This scholarship is available to National Merit Finalists who select the University of Richmond as their first-choice school. The maximum award is $2,000 per year for 4 years. Residents of the City of Hopewell and several other areas in Virginia may apply. Applicants must choose a health-related undergraduate major, demonstrate financial need, and hold a 3.0 GPA. The Roothbert Fund prefers spiritually inclined applicants who plan to work in education. Applicants must reside in one of 16 states, including Virginia. Must attend a higher education institution in Virginia as an undergraduate, graduate, or professional student to apply. Applicants must be earning a degree in an area other than religious training or theology.